Econet Wireless Zimbabwe's fintech unit Cassava has unveiled the Vaya lift services through Cassava on Demand. This is an Uber-type ride hailing service that can be easily booked by riders via the convenience of a mobile app. The new service is targeted at individuals and business customers. Cassava is also looking to add a parcel delivery and logistical services to its bouquet of offerings. This development has largely been a result of the growing usage of smartphones and mobile apps given the youthful demographics (tech-savvy generation). In addition, the success of Uber and UberEATSin countries such as South Africa and Kenya has been a motivating factor. Uber South Africa has seen huge growth given that the ride-hailing app now has around 1,0m active riders in South Africa and over 12 000 active drivers. Also related to Uber is the food delivery service; UberEATS. According to Uber Africa, over 550 000 people have downloaded the UberEATS app in South Africa and the business is getting over 10 000 additional downloads every week. Since UberEATS launched in South Africa in 2016, it has partnered with over 1 200 restaurants in Cape Town, Stellenbosch, Johannesburg, Durban, and Pretoria. UberEATS now delivers over 35 000 unique items from the restaurant and stores, with an average delivery time of 33 minutes. While Uber and UberEATS have done well in South Africa, we highlight that there are significant hurdles that Vaya would have to overcome for the service to be a success in Zimbabwe. Firstly, major cities in Zimbabwe such as Harare and Bulawayo are smaller in size when compared to Johannesburg, Cape Town, Pretoria or even Nairobi. This presents a significant constraint in terms of pricing given the short distances as well as competition from public taxi operators. For example, it costs $1 to travel from a suburb like Mount Pleasant to the Harare CBD on a public taxi. 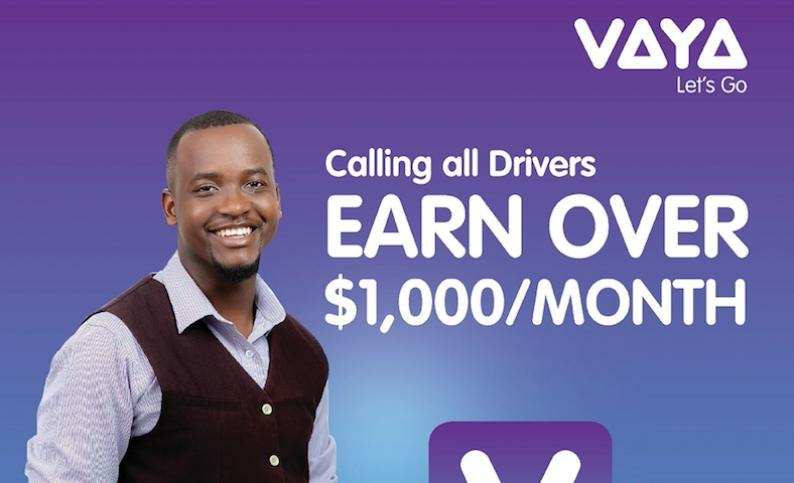 Vaya would have to come up with economic fares (especially for the drivers) for the service to work. Disposable incomes in Zimbabwe remain low and the introduction of the 2% money transfer tax in country will have a negative impact on the rider's wallet. Secondly, we note that the introduction of Uber in South Africa came with a lot of aggression and intimidation from metered taxi drivers and this was a major problem for Uber. In the case of Vaya, there could be potential resistance especially from public taxi operators. Vaya would have to cooperate with relevant taxi associations (similar arrangement like the My Citi buses in Cape Town) so as to avoid similar risks as was experienced in South Africa. Thirdly, the increase in the number of imported vehicles (mainly from Japan) has led to congestion on Zimbabwean roads as well as limited parking spaces in major CBDs. The poor state of roads is also a major contributor to congestion. Vaya would also have to explore the use of Uber-type scooters so as to overcome some of the congestion problems. Fourthly, the use of mobile apps implies increased data usage. According to the latest report by the Alliance for Affordable Internet, Zimbabwe has the highest mobile data costs in the region at $25 per gigabyte. This would also imply that the cost of using the Vaya service may be comparatively higher than other alternatives. That said, we opine that there is need for more research to assess the economics behind the launch of such an offering. However, we like the fact that Econet Wireless has been very aggressive in terms of developing relevant products for its market in Zimbabwe such as Ecocash and Ecosure. Econet is looking to unbundle the Fintech business (Cassava) and we expect this to unlock value for shareholders.